Sometimes hair will accumulate in places where you may feel it is unwanted. Most women will focus on removal of facial hair but hair removal system variants are versatile in the removal of all body hair. Going to the dermatologist to get a hair removal procedure is now a thing of the past with the invention of cost effective DIY hair removal kits. These system kits will save you hundreds of dollars in fees that you would otherwise spend at your local dermatologist. Electronic Cable: The device is electronically powered so no time-wasting recharging it. Skin Contact Sensor: This indicates and confirms that the handpiece flush is placed against the skin. Skin Tone Sensor: A lot of times our skins are different tones. Therefore, this sensor helps confirm if your skin tone is appropriate for use. The Braun Gillette Venus system is a revolutionary piece of the system that targets the melanin in the hair follicle under the skin surface hence helping to break the re-growth cycle. The system uses four treatments. With continued regular use, unwanted hair is prevented from reaching the skin surface. 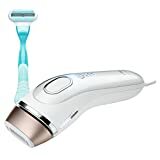 Only the Braun Gillette Venus silk contains a skin tone SensoAdapt that continuously reads skin tone making adjustments on the specific energy level need to target melanin on certain skin tones. Versatile Mode System: There is the gentle and extra that can be used for sensitive area and beginners. Flashes: The system provides 300,000 flashes that can last the user up to 15 years of full body treatment or up to 35 years of small body treatments like underarms and lower lips. Non-stop Power Option: The system requires no charging or batteries so no interruptions in treatment. With just three treatments, the LumaRx full body hair removal device offers 94% unwanted hair reduction. The device utilizes light pulses which are an effective technology for permanent hair removal. LumaRx treats light to medium skin tones and has a skin tone tester to help prevent treatment of too dark skin. Comfort Filter technology: To enhance comfort to the user. Two interchangeable caps: One for smaller contoured areas and another for larger body areas. Do you shave your legs and soon after the hair quickly grows back leaving your skin prickly? 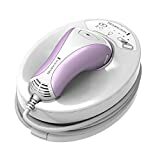 Then you definitely need the iLIGHT Pro Plus Quartz hair removal system also uses the light pulse technology to create a permanent smooth skin. Skin contact sensor confirms the flash window flush against the skin. Skin tone sensor: determines the skin tone acceptable for use. This device gives you a long-lasting hair removal solution. Veet is ideal for hair removal underarms, stomach, bikini line, legs, and chest. Treatment is simple with just the pulsed light IPL technology. 5 light energy levels: Offers an indication system of the level of energy applied to the carrying tons of skin. Skin Color Sensor: This detects the skin tone to determine if treatment is acceptable. Skin contact sensor: To determine that the flash window flush is against the skin. LumaRx utilizes the IPL technology and is the most effective technology for long lasting hair removal. 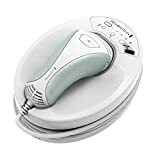 This LumaRx is ideal for large and small areas of the body including female facial hair. This device should only be used for light to medium skin tones. Wavelength of 600-1200nm: Provides ample light spectrum for treatment. 6000 flashes per rechargeable cartridge. Convenient easy to use the handheld device. 1.4 cm2 flash window: Ideal for precise area treatments. 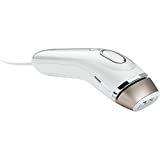 The Philips Lumea uses the same pulsed light technology. The light produces heat that is transferred to the hair follicle causing it to enter a resting phase. As a result, hair growth sheds, natural and re-growth is inhibited. The sensica sensiLight offers the most advanced hair removal system with 100,000 flashes with no need to refill the cartridges. This device takes the IPL technology to a whole new level with the incorporation of unique sensors that react to specific needs of every single pulse. It works with dark hair that contains more melanin. Advanced double safety mechanism: Ideal for facial as well as under arms. Sensor: that continuously react to the skin specific needs. 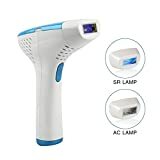 This device replaces the traditional hair removal methods by using the intense pulsed light that targets precisely melanin in hair follicles to destroy the re-growth ability in the hair. This device is not ideal for naturally dark or recently toned skin. Ac Adapter: For Continuous use. 3 pieces of 120000 plus Lamps: for more hair removal treatments. This yet another ground-breaking piece of technology that will leave you feeling refreshed with a smooth skin. The IPL technology offers only second to none precision hair removal through the light pulses to prevent hair re-growth. 3 mode system: The normal, gentle and extra to give you a versatile device. The gentle and extra are mainly used for beginners. Corded arrangement: Non-stop power supply. The 300,000 flashes: ensure a full body treatment for 15 years straight. Now that is very cost effective. With this range of options, hair removal should become so mundane. No need to worry about shaving and waxing when you have a permanent and easy process to get rid of those unwanted hairs forever.